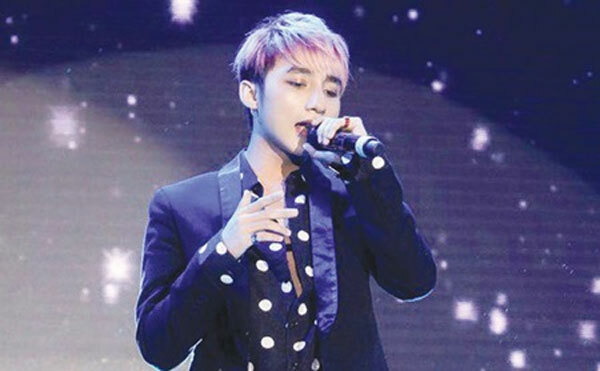 VietNamNet Bridge – Young pop star Son Tung M-TP will compete for the MTV Europe Music Awards (EMA) Best Worldwide Act 2015 in Italy next month. The singer was chosen as the representative from Southeast Asia by defeating six competitors – Faizal Tahir of Malaysia, James Reid and Nadine Lustre of the Philippines, NOAH of Indonesia, Slot Machine of Thailand and The Sam Willows of Singapore. The nominees were chosen based on their professional activities, including record sales, frequency of appearances on radio and television, online watching and listening, popularity on social media, and ticket sales. Votes for the Best Worldwide Act award will be taken through MTV EMA networks, including websites, Facebook and mobile apps. Son Tung MT-P will compete with five others from mainland China, Hong Kong, Taiwan, Japan and South Korea for the award via the website asia.mtvema.com. The MTV EMA 2015 awards will be held on November 25 at the Mediolanum Forum in Milan. The event will attract international stars such as Pharrell William, Ed Sheeran & Rudimantal and Tori Kelly. Born in 1994 in Thai Binh Province, Son Tung MT-P began his professional career in HCM City in 2011. He quickly became a phenomenon in the industry. His first major hits were Con Mua Ngang Qua (The Rain), Em Cua Ngay Hom Qua (You Come from Yesterday) and Khong Phai Dang Vua Dau (Nothing Common). His latest MV, Am Tham Ben Em (Stand by You), released in August, reached more than 1 million viewers on YouTube in one day. He won the award for Young Promising Actor for his first role, a leading part, in the film Chang Trai Nam Ay (Dandelion), a production of his agency Wepro Entertainment, at the Golden Kite 2015 awards competition presented by the Viet Nam Cinematography Association. Established in 1994, originally an alternative to the American MTV Video Music Awards, the MTV EMA is a popular celebration of what MTV viewers consider the best in music. The Best Worldwide Act category debuted in 2011. The five-member band Big Bang from South Korea was the first winner in the region.